* We offer a variety of affordable options for any marketing budget! 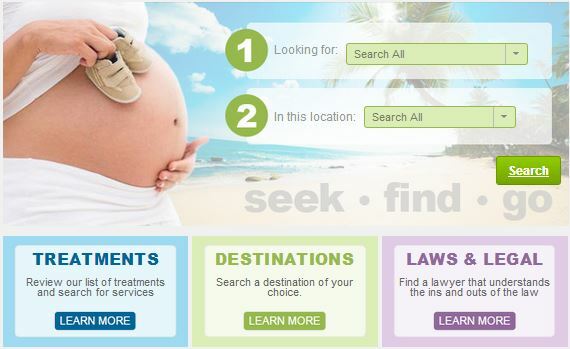 Global IVF’s Directory bridges distance, language and cultural barriers. Our grammar, style, and clarity appeals to everyone, but particularly the Western patient – making them comfortable from their very first exposure to you. It’s easy to get started … and start seeing results! That’s it! You’re done. Go live and get clients! Featured in Alphabetical Order Featured in Alphabetical Order Featured with other Premium Plus listings at the top of the Directory Results; Highlighted with a green background for premium visibility; Feature story on Global IVF home page. Company name listed in up to 1 directory category Company name listed in up to 2 directory categories. Company name listed in up to 10 directory categories. 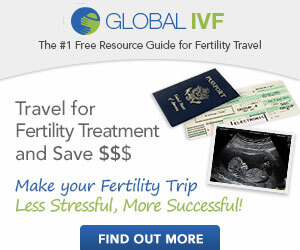 There are lots of other great ways to enhance your visibility on Global IVF! 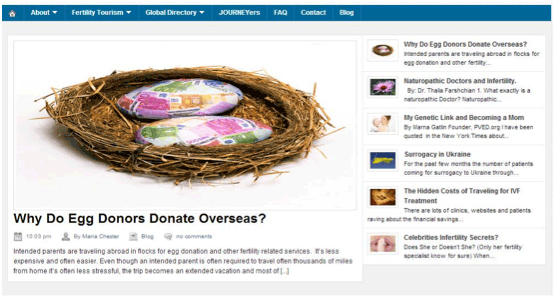 Your banner ad will rotate throughout the entire Global IVF.com site, including the highly visible homepage, as well as our popular blog and video pages. Banners are great if you want repeated exposure at an affordable price. Contact Us for more information. Nothing works better than video to immediately create a one-on-one connection with our users. Studies have shown that video increases user interest and leads. We can showcase your own existing video, or you can create something new with our help. All new videos are promoted through our social media outlets – including Facebook, Twitter and our popular Newsletter. Plus you will be featured on our homepage slider for 3 weeks, after which your video will be accessible permanently as part of our video archive. Contact Us for more information. Share your expert knowledge with our viewers! An article is a great way to feature your expertise without doing a “hard sell.” Articles are featured on our homepage for two weeks, and are then permanently accessible in our articles archives. Contact Us about our discount when combining your banner with an informational article or video. Our main goal is to get the most up-to-date and trustworthy information to our site’s visitors. By becoming part of our team, you become more reputable in the eyes of our community members. Help us help you.